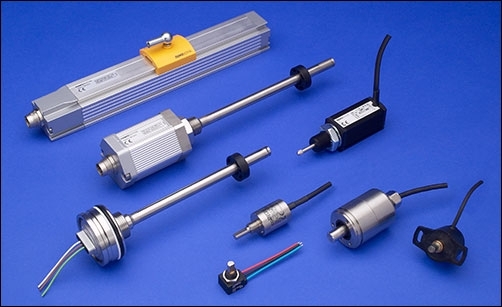 Novotechnik manufactures magnetostrictive, inductive and Hall effect non-contacting sensor products. NOVOSTRICTIVE™ technology provides unique advantages for linear position measurement applications. All position sensors in this category are non-contact. Novotechnik manufactures magnetostrictive, inductive and Hall effect non-contacting sensor products. NOVOSTRICTIVE™ technology provides unique advantages for linear position measurement applications. All position sensors in this category are non-contact. NOVOSTRICTIVE is Novotechnik's newest magnetostrictive technology and uses a passive position marker, which is free-floating. When the marker is moved in a free-floating non-contact position sensing arrangement, wear-free operation provides unlimited mechanical life expectancy and unlimited traverse speed. NOVOSTRICTIVE provides more advantages over other manufacturer's magnetostrictive techniques that are unique to Novotechnik position sensors. Learn about this new industry leading technology at the TLM story.